Alvvays, via Toronto, are coming to DC for two nights! And just your luck, tickets are sold out for both shows! Get cracking with the resale options. Alvvays is promoting their second album, Antisocialites, which comes out on September 8th. Their new single, “In Undertow”, is an atmospheric break-up song, while another single, “Dreams Tonight”, asks if you will have Alvvays in your dreams tonight? Yes, yes you will. 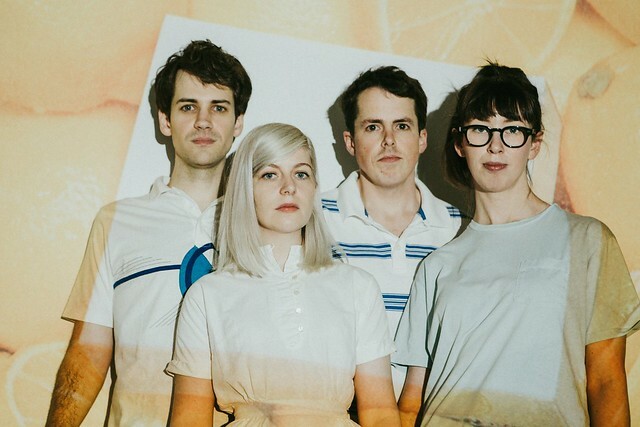 Alvvays (pronounced Always) is a dream pop band formed in 2011 and fronted by Molly Rankin, with Kerri MacLellan (keyboards), Alec O’Hanley (guitar) and Brian Murphy (bass). Both nights are Sold Out. Doors open at the Rock and Roll Hotel at 7pm. Show at 8pm. Nap Eyes is the opener for both nights.